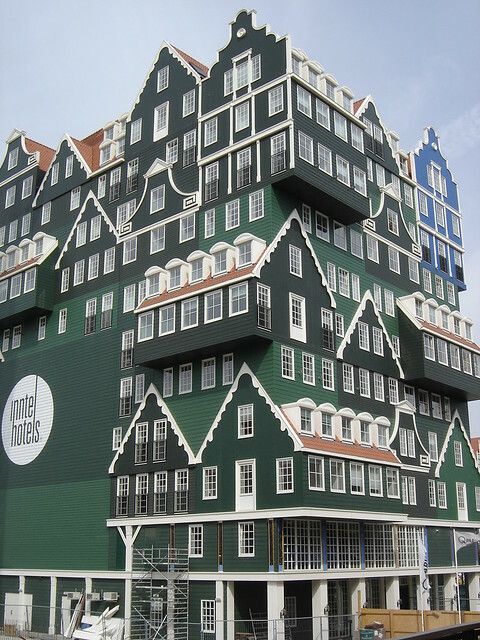 The newly constructed (2010) Inntel Hotel in Zaandam, the Netherlands, near Amsterdam, has an amazing and unique architecture which makes it look like a vertical stack of traditional wooden houses of the region. 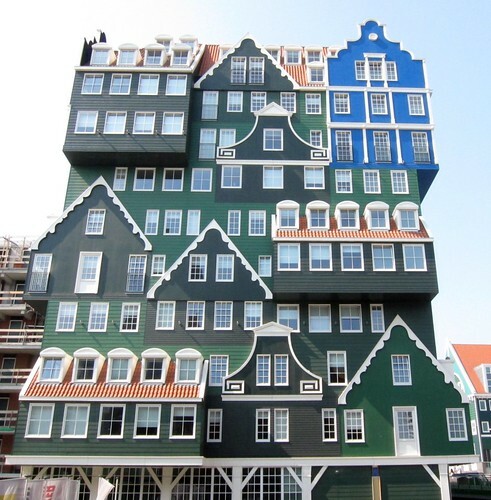 The 11-storey building with a height of forty metres was designed by Wilfried van Winden of WAM architecten and its façade has been beautifully decorated, by using timber and fibre cement cladding, to give it the not only the design but also the colourful look of Dutch houses. The overall affect is awe inspiring. The blue house on extreme right side houses the bridal suite, and was inspired by Claude Monet's painting - "The Blue House at Zaandam".